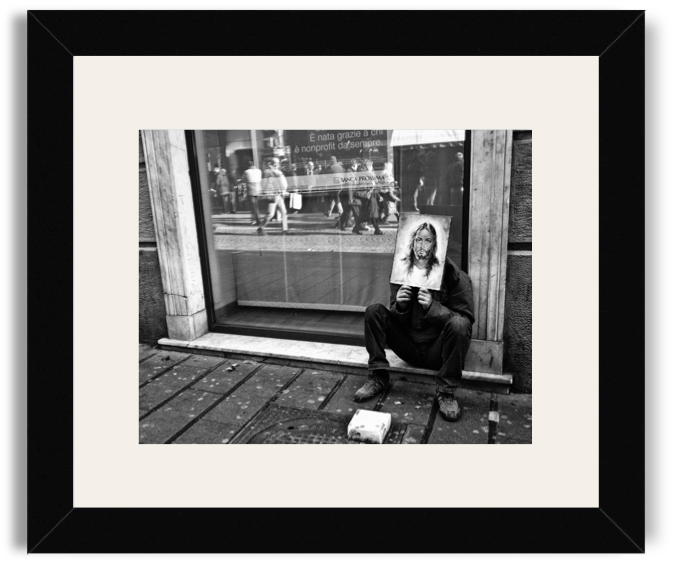 Very simple image, a man asking for some money on the street that hides the face behind an image of Jesus Christ. Street photographer, I live in Naples (Italy). Finalist in various international competitions including "Miami Street Festival" with exhibitions in various parts of the world. A limited number of 25 copies of this print (8 x 10, black and white) are available.